5 Best Albums of 2012. 5. 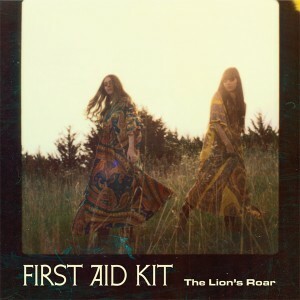 First Aid Kit, The Lion’s Roar. The second album from Swedish sisters Klara and Johanna Söderberg, barely into their 20s, arrived at the beginning of the year. Reviewed by me earlier here, it’s a pitch-perfect concoction of dreamy Americana, draped, carefully, in the cloak of melancholia. 4. Metz, Metz. The talk of the town at this year’s CMJ – see my review earlier here – the trio from Toronto produce a torrent of visceral noise fuelled by the adrenalin of undiluted but carefully channeled youth. 3. 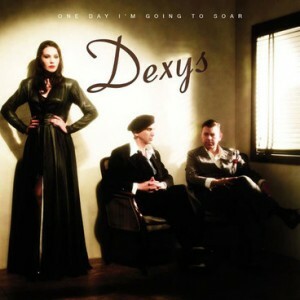 Dexys, One Day I’m Going To Soar. News that Kevin Rowland and Dexys were about to resurface with a new album and an accompanying tour was met, understandably, with skepticism and trepidation. Remarkably, as I reported earlier here, both were a minor sensation. A glorious and painfully honest album that continues to glow. 2. Frank Ocean, Channel Orange. In an ever so slightly disappointing year, this is the one album on everyone’s end of year list. Reviewed by me earlier here, this is as lyrically complex as it is musically sophisticated. And its genre-hopping confidence suggests that an heir to the regal Prince might finally have emerged. 1. 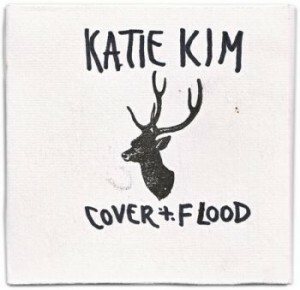 Katie Kim, Cover & Flood. When this album came out last February it somewhat slipped under the radar. Which is most unfair as, as I wrote in my earlier review here, Katie Kim pulls off the significant feat of being as remarkable in the studio as she is on stage. And this, her second album, is a hauntingly evocative work that conjures up an impressively moody dreamscape. Sign up for a subscription right or below, and I shall keep you posted every week on All the Very Best in Film, Television and Music. 5 Best TV Programmes this Christmas. 5. Sat 22nd, 7pm BBC4. Lawrence Olivier directs and stars in The Prince and The Showgirl, together, somewhat incongruously with Marilyn Monroe. Frightfully silly, but both are endlessly watchable. And it’s followed at 9pm, still on BBC4, by Screen Goddesses:Arena, which is and remains the best arts strand anywhere on television. 4. St. Stephen’s Day, 2:40 BBC2. 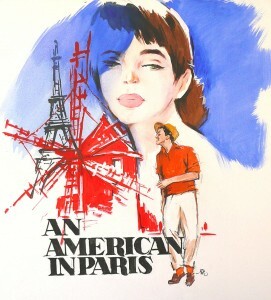 Vincente Minnelli directs Gene Kelly and the archetypal gamine Leslie Carron in Gershwin’s 1951 musical An American In Paris. This terpsichorean and Technicolor MGM classic is probably one of the very few films screened this Christmas that many people won’t already have seen. 3. Christmas Eve, 11:55pm BBC4; and Thursday Dec 27th,11:10pm RTE2. Arena: Amy Winehouse – The Day She Came To Dingle. This quietly moving and thoughtfully put together programme shows the singer in disarmingly relaxed form as she chats accessibly before taking to the stage for RTE’s Other Voices in 2006. 2. St. Stephen’s Day, 7pm BBC4. The Two-Thousand Year old Computer. For those of you who haven’t already seen it, here’s a chance to savour once more this quietly told and endlessly fascinating story, which I reviewed more fully here. It’s absolutely riveting and is not to be missed. 1. Sunday 23rd, 11:25pm BBC1. The Graham Norton Show. Our own Graham Norton, from Bandon where, we were always told, even the pigs are Protestant, has become the brightest star on British television. Ironically, he’s done it by adopting the quintessentially British cloak of irony-clad self-deprecation. By presenting himself as a bit of a fool, he effortlessly produces a brilliantly intelligent and consistently riveting talk show. Tonight’s guests are Dustin Hoffman and Jennifer Saunders, and are joined by Billy Connolly. Surely even he’ll seem funny in this company? And Graham’s back again on New Year’s Eve on BBC1 at 10:35pm. His guests tonight include Tom Cruise and Billy Crystal. Is Seven Psychopaths the Greatest Irish Film of the Century? Martin McDonagh has done a brave thing here. He’s made a film that looks for all the world like a really lazy, sub-Tarantino Hollywood B movie, peopled by risibly sub-one-dimensional cardboard cut-outs in a mesmerically unfunny so say pastiche. But what he’s actually produced is a brilliantly candid portrait of a writer paralyzed by fear, who spends his days in an alcoholic haze petrified that he has nothing to say. Instead of following the writer in a conventional way though, what he’s done is to show us the kind of film that a writer like that would produce if he really was as untalented as he secretly fears. And he were to insist on writing a screenplay anyway, despite being permanently inebriated. Hence those tediously clichéd characters wandering around LA, spouting all that pseudo-Tarantino, wannabe Mamet dialogue that the writer clearly thinks will suddenly gain weight simply by being constantly repeated. Occasionally, the writer will comment on his failings as a writer, as if by talking about them he might be able to fix them. Which, needless to say, is gratingly Californian, and is exactly the kind of thing a writer like that would think. 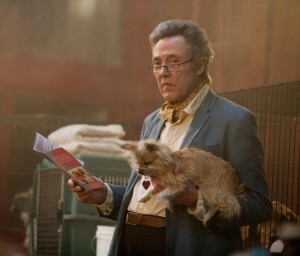 Somehow, despite being asked to wade through all this swill, Christopher Walken manages the remarkable feat of conjuring up a performance of genuine charm. And Colin Farrell similarly succeeds in occasionally making you actually feel for the writer. But then he’s forced to emit more of that dreary dialogue. Which he then has to repeat. Again. Of course there’ll be the less cineastically sophisticated who’ll no doubt claim that McDonagh has gone from writing plays that read like really long episodes of Father Ted but without any of the jokes, to a sub-Tarantino (did you get the reference yet?) Hollywood pastiche without any of its jokes. And anyone who’s seen all six hours of Kill Bill will know what that feels like. 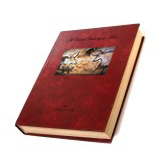 No way – I’m looking for a witty, po-mo meta-rhyme, there it is – José. Seven Psychopaths is so much more than that. Despite what it looks like, this is in fact a brilliant distillation of the kind of unspeakable script a writer might produce, if he spent his every waking hour doused in a sterile sea of cheap alcohol that rendered his imagination completely impotent. And as such, it’s a devastating indictment of the demon drink. Oh the horror. The horror. 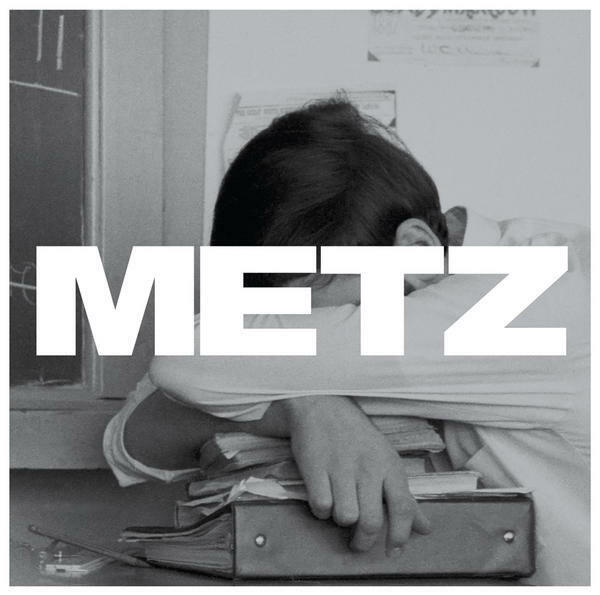 Metz’ Debut Album is a Power Punk Hymn to the Art of Noise. New York’s CMJ Music Marathon is fast becoming this decade’s SXSW. It is in other words where the future sounds of those who have yet to happen are first spotted and duly noted. Situated around the Lower East side of Manhattan, it inevitably drifts over the bridge and into Brooklyn where so many of today’s most exciting bands seem to be born and bred. And the one that made the biggest noise at this year’s CMJ was Metz, an arresting trio from Toronto. As the review from the boys from Pitchfork noted, where they got an impressed 8.5 here, the band first surfaced way back in 2007. But it’s only now that they’ve gotten around to releasing their debut album. And, as their review notes, the time they’ve spent honing their craft and pairing down their sound between then and now is a lesson that all aspiring musos should take heed of. Metz deliver raw, undiluted noise. Too disciplined to be called metal, but far too loud to fall into pop, they’ve the ambition and drive of early Nirvana but without any of the latter’s need to please. The result is an explosion of pure adrenalin. You can see the suitably angst-ridden video for their hymn to urban alienation “Wet Blanket” here. 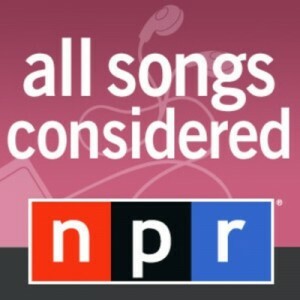 And you can hear the All Songs Considered podcast (which you should be listening to every week, and was reviewed by me here) on this year’s CMJ here.